Deltaville the “Heart of the Bay”. The history of Deltaville goes back to 1608, the year after Jamestown was settled, and a group of English explorers led by Captain John Smith came upon this settlement while exploring the tributaries of the Chesapeake Bay. Smith and his men while standing in the water thought they saw fish. Smith speared one and it turned out to be a stingray, he pulled it to the surface and as it emerged from the water its poison tail punctured Smith’s arm. Smith’s health deteriorated so fast that he insisted his men dig him a proper grave. But Smith survived, and that point of land on the eastern tip of what is now Middlesex County became known as Stingray Point, and part of Deltaville today. Stove Point on Fishing Bay off the Piankatank River and Chesapeake Bay was in a land grant from King Charles II in 1653 and was farmed until 1935 when lots were subdivided and sold for summer places. In 1948, Fishing Bay Yacht Club was founded on Stove Point and quickly became a mecca for sailors of all ages, today it is a world class yacht club with summer sailing programs for all ages. 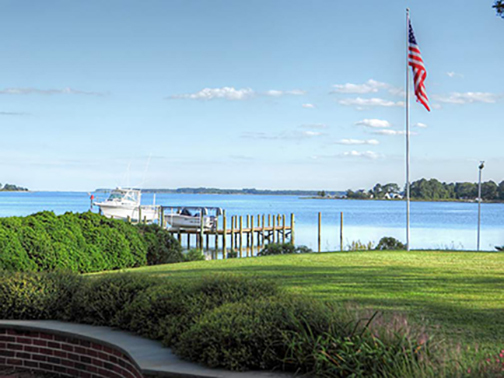 Deltaville is situated between the Rappahannock River, Chesapeake Bay and The Piankatank River. Historically, it has a renowned reputation of being the wooden deadrise boatbuilding capital of the Chesapeake Bay. From about 1900 to the 1990s, more wooden deadrise boats were built in the Deltaville area than anywhere else on the Bay. The largest deadrise ever constructed was built in 1927 by a Deltaville boatbuilder. Deltaville is largely an agricultural community, farming in the summer and oystering in the winter. Hence the demand for hardy well-built work boats. This maritime heritage has been captured by the Deltaville Maritime Museum and Holly Point Nature Park. The museum is a local treasure and is in a state of rebuilding due to a major fire earlier in 2012 . The museum is on Mill Creek, a small branch of Jackson Creek. Along the shoreline there is a Pier walk that allows visitors a close-up look of the water and the “F.D. Crockett”, a Chesapeake Bay log boat that was used as a seafood buyboat. Visitors can walk along the Pier walk and view the log structure and its splendid fantail stern. For serious boaters, Broad Creek off the Rappahannock River, and Jackson creek off the Piankatank River have several full-service marinas and boatyards, and there is a large West Marine retail store in the center of Deltaville. The availability of boat services makes Deltaville a popular port of call along the lower Chesapeake for sailors and power boaters alike. On the fourth Saturday of each month, visitors can catch a Farmers’ Market under the shade trees on the museum grounds. This is a popular gathering place for the community. For sailors who enjoy catching a fair wind in the Bay, Deltaville is conveniently located to the Bay. There are several marinas that cater to sailboats, and offer world class mechanical and rigging services to boaters. Every July, Deltaville is host to the “Leukemia Cup” which attracts hundreds of participants and offers a weekend filled with racing, fresh seafood and fun for the entire family while raising funds for an important cause. On Friday and Saturday nights during spring and summer, visitors can catch a ball game at the Deltaville Ballpark. The community is home to the Deltaville Deltas and the Middle Peninsula Mariners, two semi-pro baseball teams with a large local and regional following. Over the years Deltaville has become a vacation and second home destination for many. Its spacious waterfront on the Chesapeake Bay and its tributaries provides the setting for numerous summer and second homes. It seems the world has discovered the” Heart of the Bay” and all it has to offer to vacationers second home buyers and retirees with its low taxes and relaxed way of life. Deltaville is a river lovin’ community without stoplights where the screen door slams and the rivers meet the bay. What now has become a true Deltaville tradition began over the Christmas of 1996. Stephen Blue had seen Chevy Chase's "Christmas Vacation' for about the 80th time. Stephen and his parents had just returned home from their annual drive to Richmond to take the Tacky Light Tour of all the houses in the west end decked out in lights. Stephen was 12 years and decided that this was his year for his own “tacky light” display. It all began with 6 or 7 old 100-light strands that were left over and unused from the family Christmas tree. He strung the lights along his home’s balcony, door, living room window, and admits to even having some really “cruddy looking stuff” on the deck railing. With his dad's assistance (he's lent a hand every year), he ventured onto the roof and outlined it with a set of lights in motion, and attempt to spell out "NOEL". Stephen was definitely one happy 12-year-old.His mom and dad who were just as excited as he was probably thought this was a phase and a one-year thing…. Boy were they ever wrong! The Christmas Season of 2015 marks the 13th anniversary of Stephen’s “tacky light” show at the Mason Realty building with more than 113,000 lights, it’s a sight to see in Deltaville! This year features a slight expansion of the 2014 design. Notable additions include an extension of the walking path, additional new characters, and importantly, our first interactive feature: The controllable tree! The 20' walk-in tree was converted to LED, and now has a control panel inside where kids can hit buttons to make the tree change color, spin in circles, and activate over a dozen strobe lights in the top of the tree! Roughly 68,000 lights, or over 60% of the display, was LED this year. Visit Stephen’s website www.deltavillelights.com, to see the history of this really beautiful Christmas light display and how it has evolved into what you see today. This is truly a holiday tradition here in Deltaville. December 1, 2015 - January 1, 2016! The lights will also be on until Midnight on Christmas Eve, Christmas Night, and New Years Eve. What is a "Rivah" House? “Going to the Rivah” is like living in a resort- always on vacation- but without the crowds! It is a land where docks are as common as garages and marinas are abound as tons of "creeks" make their way off the large rivers to create natural inlets. It’s a beautiful area which is surrounded by the Rappahannock and Potomac Rivers and the Chesapeake Bay. 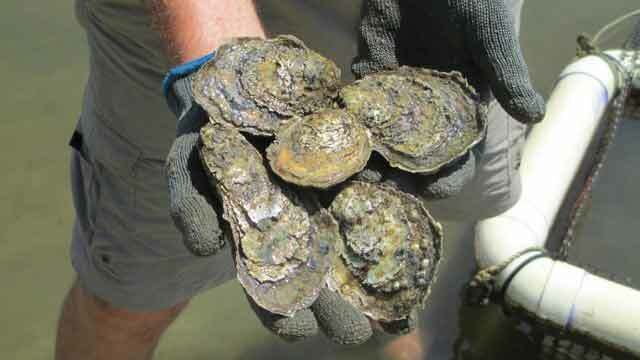 The Northern Neck of Virginia is known world wide for its Chesapeake Bay oysters and is home to many commercial fishing venues. Enjoy a convenient hour ride from Richmond or Williamsburg, gather with friends for a crab feast on the back porch, or watch the fireflies dance as you gaze up at the night sky bursting with stars. Do I have you intrigued yet? The first step in pursuing your dream of living on the Rivah is to come visit the area. 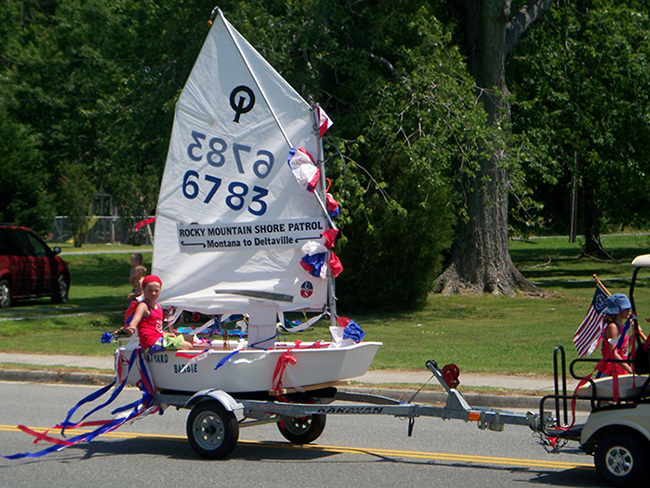 The Northern Neck and Middle Peninsula have miles and miles of beautiful waterfront, beaches, and boating fun. If you have never been here before it can become a bit overwhelming which is why you need a Realtor who knows the area and will find the right home for you. Our agents at The Chesapeake Bay Group and Isabell K. Horsley real estate don’t just sell homes, we sell a lifestyle. We make it a point to sit down with you and get to know you. What are your likes and dislikes, what criteria have you set for your new home? For example, do you prefer granite or quartz countertops? How many bedrooms will you be needing? We also want to get to know you better, learn about your lifestyle and interests. Are you looking for the privacy of the country or would you rather be in the heart of one of our lovely towns? Do you sail, fish, play golf or tennis? It does seem like a lot of questions, however, we have a broad spectrum of areas down here at the Rivah and we want to guide you to the best possible place for you! Whether you’re looking for a retirement home, summer cottage, or land, we can help you find your Rivah home!